Buy sea salt for cooking. Gourmet artisanal sea salts and Fleur de Sel from Italy, Spain and France. Salt is one of the most miraculous substances on our planet. We eat it, bathe in it, make things out of it, clean things with it, and use it on roads. But the main thing that most of us do with salt is cook with it. The varieties of salt used in cooking are almost endless. They differ greatly in color, flavor, texture, structure, taste and uses. We've partnered with the finest purveyors of salt to bring you an interesting assortment of products to try for yourself, and have removed some of the guesswork about where to buy salt for cooking. It's nice to have choices! So, each page of our salt products is brought to you by a different purveyor. Some salts are available in bulk quantity at amazing prices. If you're not familiar with a variety, consider purchasing a smaller container just to try it out and experience something new. Prices and availability are subject to change. 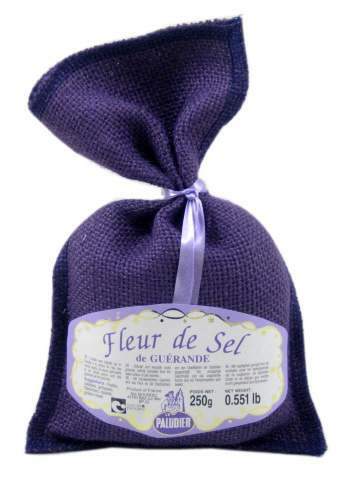 Fleur de Sel translates to "Flower of Salt". This natural sea salt is from Brittany, France. It is best used as a finishing salt or a condiment. These small flaky crystals have a complex flavor and a moist texture. They are rich in trace elements. This artist salt does not dissolve when sprinkled on food that is moist, lending a small crunch and a complex flavor to whatever it adorns. This Fleur de Sel starts in the salt fields of Guerande. The top of the evaporating sea water is swept to harvest "sel gris de Guerande". This harvested water then goes into a clay lined area and further evaporated. Each day the salt crust is harvested and that top layer gives us Fleur de Sel de Guerande. It is considered to be the crème de la crème of Fleur de Sel. 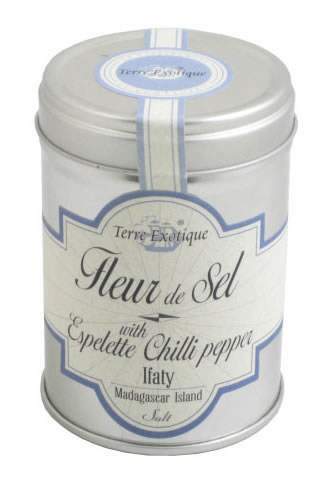 This artisanal finishing salt is a combination of Fleur de Sel from Madagascar and Espelette chilli peppers. Truly a natural and hand crafted gourmet product. The Fleur de Sel ( Flower of Salt ) in this product comes from the salt pans located just south of the town of Ifaty on the South West coast of Madagascar. This is an additive free 100% natural product. Fleur de Sel is rich in both calcium and magnesium. Packaged in an attractive tin so you can leave this on your counter and not forget to use it! 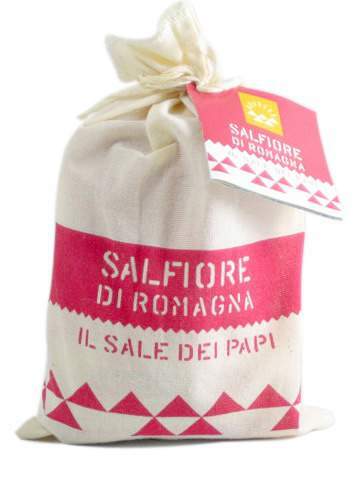 This is a medium coarse grind of Italian sea salt with a long history of tradition. The town of Cervia has harvested salt for more than 2000 years. This particular natural salt has 2-4% humidity. It is also used in the salting of parmigiano reggiano cheese and prosciutto di Parma – two famous and exquisite products of Italy. Use this finishing salt on grilled fish, fresh salads, roasted vegetables – wherever you want some crunch and extra flavor! This is a medium fine grain sea salt from Italy. 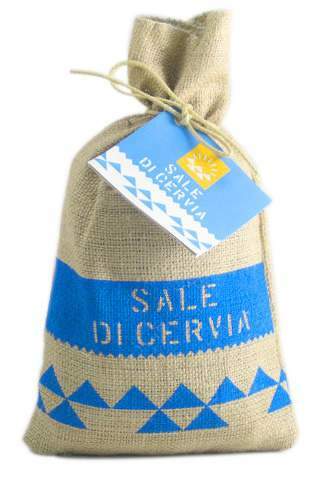 Like Sale di Cervia, this comes from the ancient seasonal salt flats in the town of Cervia in Italy. It is nicknamed "Pope's Salt" because it is the salt sent to the table of the Pope. It is also traditionally the first salt harvested of the season. This salt dries in the sun and has no additives. It is considered an artisanal product. Use this as a finishing salt for just that hint of added texture, or as a seasoning. It is an outstanding salt. 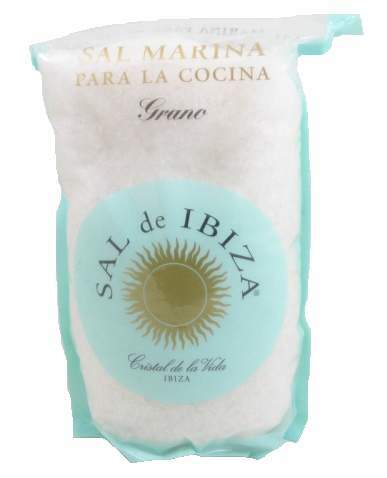 This coarse sea salt comes from the saltworks of Spain on the island of Ibiza. It is Fleur de Sel. There are no additives or other agents added to this truly natural product. 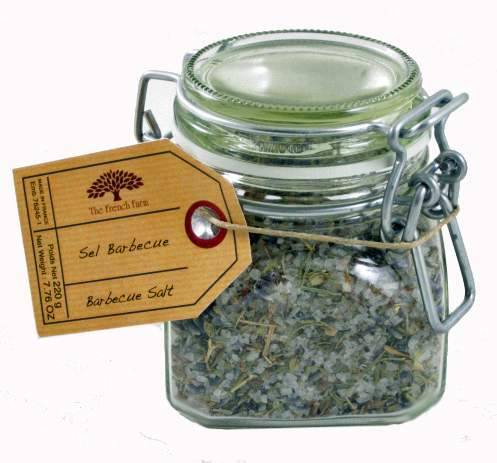 More than 80 minerals and trace elements are retained in this hand harvested salt. It has a slight moistness and a subtle taste. If you have never tried "flower of salt", do treat yourself! Use this as a finishing salt for almost anything that you want. It will add flavor, texture and an added wow that you won't forget. The island of Ibiza off the coast of Spain has ancient salt flats that continue to be hand harvested to this day. 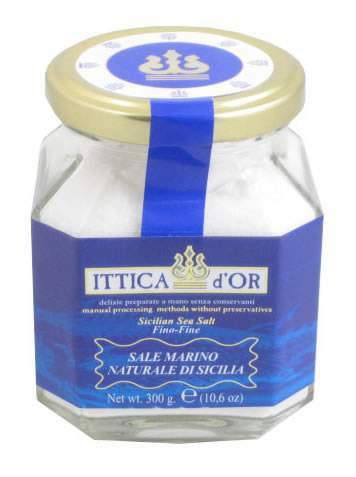 This is Fleur de Sel from there – a wonderful special finishing salt. Like a true artisanal natural product, there are no additives and no artificial methods used for drying. This is a slightly moist salt and contains more than 80 trace elements and minerals vital to our health. The packaging on this is outstanding. It comes in an attractive blue ceramic jar with a cork top. And, they even include a ceramic spoon. An amazing gift for that cook in your life – or for yourself! The west coast of Sicily is known for its famous salt road which lies between Trapani and Marsala. This sea salt is harvested there, by hand and of course, by the sun! This is a lovely delicate salt with notes from the minerals and the sea and brine. 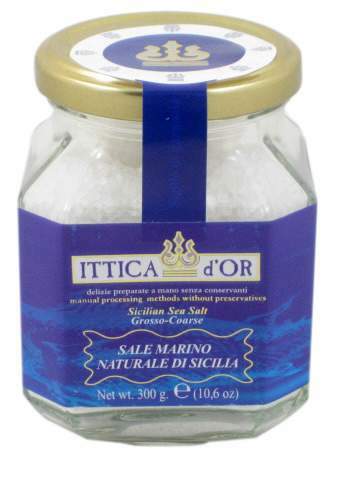 Primarily used as a finishing salt, this would be great on bruschetta, foccacia, or fish. Just about anything that screams for a little bite of something else! This is the fine ground version of the coarse sea salt above. It comes from an ancient and famous salt works on the west coast of Sicily. Dating back to at least 1572, these salt flats have an important place in European history. The sea salt is hand harvested and contains no additives. It contains less sodium chloride than "regular" salt. Once you try naturally harvested sea salt, there's no turning back! These salt crystals are organically farmed off the coast of Spain. The shape of the salt is an inverted pyramid, which adds a lovely crunchy texture to food. The Mediterranean sun is hot enough to allow the salt to dry naturally. Use this natural salt as your alternative to table salt and experience the difference. It contains the natural elements and trace minerals that nourish our bodies. 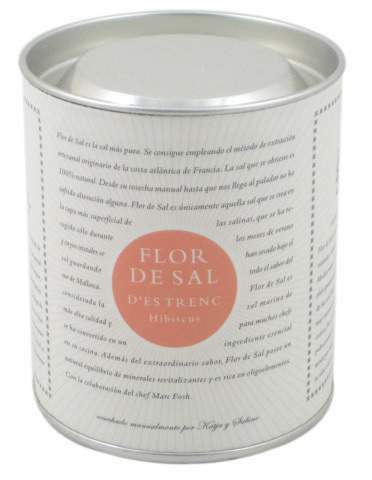 Flor de Sal is the Spanish equivalent of the French Fleur de Sel. 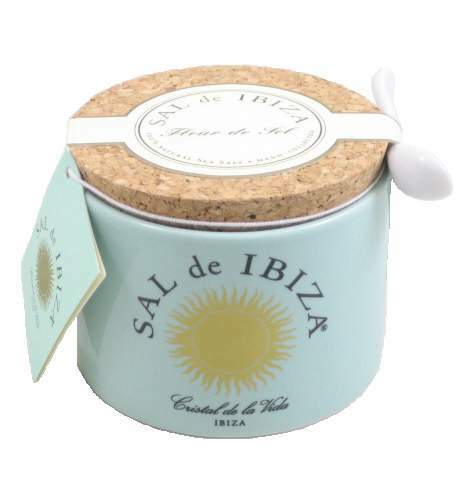 Harvested from the Ebro Delta on the northeast coast of Spain this organic and natural salt is a delight! 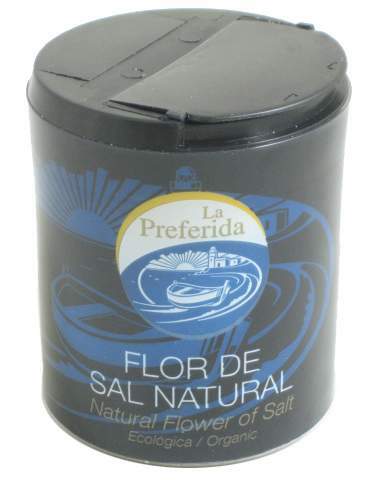 Not only are no chemicals added, Flor de Sal contains less sodium chloride and is is higher in minerals and trace elements than common table salt. These are light crystals with irregular shapes and are the first to form on the salt flats. Use this as the ultimate in finishing salts on all your foods. How about just a piece of great bread, a little bit of soft cheese and a sprinkle of Flor de Sal – you're in heaven! Sprinkle just a touch on top of that perfectly cooked fresh fish you just caught – life does not get any better! The Mediterranean brings us another famous salt flat. These are in Es Trenc, which is on the island of Mallorca, Spain. This Flor de Sal ( Flower of Salt ) is hand harvested and all natural. It is the first salt pulled off the top of the salt flats and is considered the premium finishing salt. This is a blend of Flor de Sal and Hibiscus flower petals and was put together by Marc Fosh – a Michelin starred chef. A consummate finishing salt, this has a lovely pink/red color. Think about using this on the rim of a margarita glass. Sprinkle it on the top of a grilled salmon. 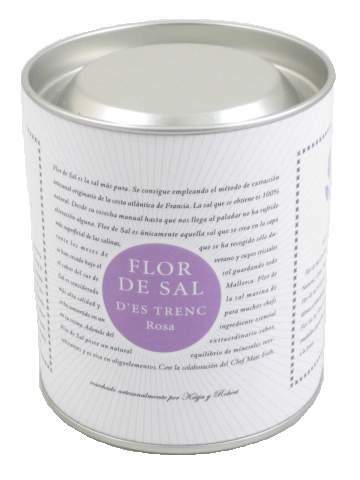 This Spanish Flor de Sal ( Fleur de Sel ) is from the natural salt flats of Es Trenc on the island of Majorca in Spain. Chef Mark Fosh has created this lucious combination of the precious first harvested layer of natural sea salt, combined with rose petals, sarawak and szechuan pepper. Use this unique blend to enliven your food just before you present the final dish. Flor de Sal is all natural, truly organic, and is produced from the unique combination of wind, sun and humidity. It is lower in sodium chloride than table salt and higher in all minerals and trace elements. This allows you to use less salt yet impart even more flavor - plus it has a great texture. This is a unique blend made up of 95% sea salt and 5% lavender buds. The flavor of lavender is well suited as a rub for fish. It is also terrific sprinkled on a salad, roasted asparagus or roasted potatoes. Presented in a glass jar with a tight sealing lid, this will not only taste great on your food, but it will look great on your kitchen counter. Experiment with sea salt blends – you will be pleasantly surprised! 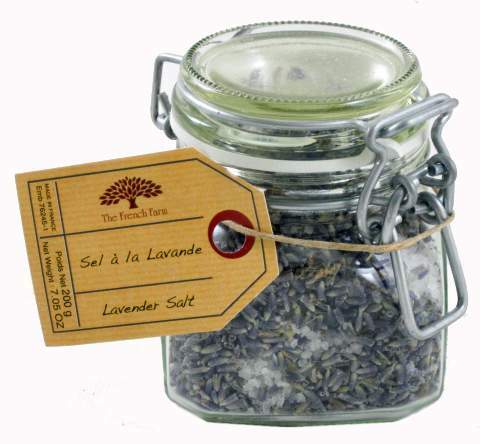 This is a nice combination of sea salt, rosemary, lavender, sage, marjoram, and thyme. Created and blended in France, this will add to your spice repertoire. Consider using this as a rub for fish or meat, an addition to a marinade, or to impart a little crunch to the top of that nicely grilled bluefish. Sea salt is a natural product that contains much less sodium chloride than your everyday table salt. Use this as a sprinkle for pasta or vegetables – and you'll find you need much less salt to get the same, if not better, taste of salt. 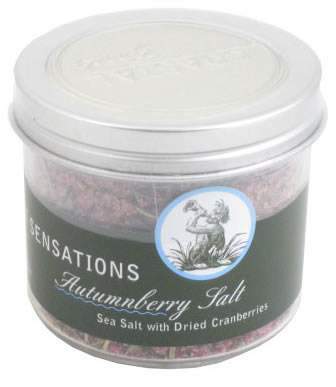 This is a medium grain sea salt blend with cranberries, rosemary and orange oil. The sea salt originates from the Mediterranean Sea in the south of France and is blended beautifully with these other fragrant ingredients. Sea salt blends have a variety of uses depending on their specific mix. This blend would look and taste amazing on the ring of glass for a tart beverage. Consider using it as a finishing salt on a sweet mild fish or to simply zip up the flavor on your fresh garden and fruit salads. This sea salt has a flaky texture and is world reknown. There are no artificial additives in this salt and it is certified organic. It retains important trace elements such as magnesium and calcium, naturally occurring in sea water. The Maldon Crystal Salt Company was founded in 1882 in Essex, England. This started out as a family business and is still run by the same family, the Osborne's, four generations later. This smoked sea salt comes from the town of Maldon, in Essex, England. It is still made by the same family that founded the company in 1882. The salt crystals are cold smoked with oak and sustainable hardwoods. These smoky flaked crystals are lovely on all types of shellfish and fish. Don't have time to grill your fresh fish over an open pit? Put a sprinkle of smoked salt on the dish just before serving – and voila! 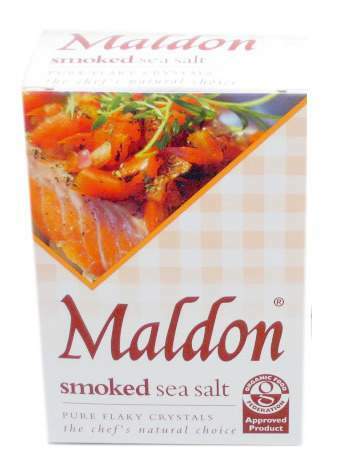 Maldon sea salt is available in an economical larger size. If you are a cook or chef that is already familiar with this product produced in Essex, England, then you will appreciate the economy of this larger sized bucket. 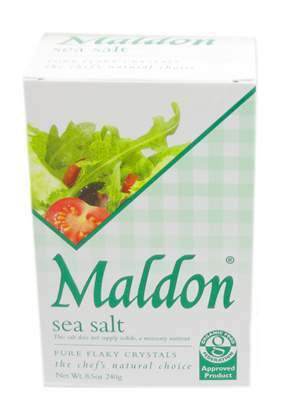 If you are new to Maldon sea salt, then you're in for a treat! Use these flaky salt crystals to replace your common table salt as well using this as a finishing salt. Hand crafted in France, this lovely olive wood salt bowl and salt shovel will look great in your kitchen. The bowl is about 3" in diameter by 1 1/4" high. The salt shovel is about 2 3/4" long. Berard is located in northern Provence and has been around since 1892. They are renown for their artisanal crafted products - particularly those out of olive wood. Perhaps you just need a great scoop for your recently purchased salt? Well here's a beautiful one ~ hand crafted in Provence by Berard. This is made out of olive wood amd measures approximately 2 3/4" long. Each piece is individual, so expect irregular graining, veining and knots. They just add to the character of each piece! This salt scoop can be used for coarse or fine salts. It's also terrific for spices in bulk. Do you need a great bowl for your recently purchased sea salt? Made by Berard in northern Provence, France, each salt bowl is hand crafted from olive wood. They measure just about 3" in diameter and are 1 1/4" high - the perfect size to hold a small amount of salt on your table or kitchen counter. Each piece is individual, so expect irregular graining, veining and knots. They just add to the character of each piece! These bowls are so great, think about putting out three or four kinds of salt all at one time!